Autodesk has announced that it plans to donate map projection technology to the geospatial open source community. Autodesk has acquired the technology from from Mentor Software which was founded by Norm Olsen. Mentor Software's map projection libraries support over 3,000 different world map projections and provides capabilities not previously available to the open source community. Mentor Software's map projection software is widely used around the world. Autodesk has been using it for many years in AutoCAD Map 3D and Autodesk MapGuide Enterprise. The additional really good news is that Mentor Software's founder and principal, Norm Olsen, will join Autodesk as a senior software engineer. Currently, Autodesk is preparing the source code for submission to the OSGeo and expects to donate the software as an OSGeo open source project by the end of 2007. FOSS4G is coming up next week in Victoria BC. FOSS4G has always been a good place to see some exciting innovations by the open source community, and this year is no exception. There will be a lot of presentations, workshops and new software to test out, so I thought that I could suggest some things you should try to take in. • W-08: Developing MapGuide Applications with PHP, Bob Bray, Monday, 1:00-4:00 p.m.
• L-10: Defining and Using Custom Cartographic Symbols in MapGuide, Bob Bray, Tuesday, 2:00-4:30 p.m.
• MapGuide Open Source Birds of a Feather, Tuesday, 4:45-7:00 p.m.
• L-05: Introduction to FDO and the FDO API, Greg Boone, Wednesday, 2:00-3:30 p.m.
• Fusion: Advanced Application Development Toolkit for Web Mapping, Paul Spencer and Jason Fournier, Wednesday, 3:30-4:00 p.m.
• Developing Web 2.0 Applications Using FDO and Open Source RDBMS Data Providers, Haris Kurtagic (SL-King), Wednesday, 4:00-4:30 p.m.
• Google Earth Powered by MapGuide, Bob Bray, Thursday, 10:30-11:00 a.m.
• Open plenary session: Keynotes by Tyler Mitchell, OSGeo, Tuesday, 9:00-10:40 a.m.
• OSGeo: A community of communities, Tyler Mitchell, OSGeo, Thursday, 10:30-11:00 a.m. In addition to one of the keynote addresses, I’ll be presenting on the always interesting topic of intellectual property rights, in this case in the context of spatial data. For geospatial software developers access to spatial data is essential for their customers, so an important question is how does the availability of spatial data affect their business. Governments around the world offer differing degrees of access to their spatial data, but low cost GPSs and the web mapping phenomenon initiated by Google Earth is dramatically democratizing the availability of spatial data. Also, throughout the week, DM Solutions Group will be previewing Fusion, at the Autodesk booth (#31). Fusion is a new Web interface that offers a more flexible way to build mapping applications in MapGuide Open Source. Paul Spencer and Jason Fournier will be giving an introduction to Fusion workshop on Wednesday. On Wednesday, 9-11 a.m., Bob Bray, Liam Speden, Peter Rieks, Jim Farley, Amber Bieg and I will all be at the Autodesk booth to answer questions, preview Fusion and to chat. Feel free to come by, take a look at Fusion, check out the San Francisco Urban Forest Mapping Project and speak with any of us about the direction of open source geospatial software. We’d love to hear what you think about what’s going on in the geospatial open source community, where it is headed and the cool applications being shared at FOSS4G! 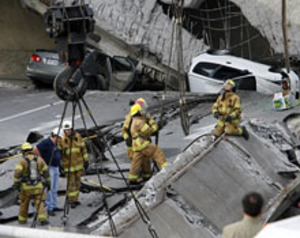 To give you an example of what can happen with aging infrastructure, on September 30, 2006 an overpass in Laval, Quebec, Canada collapsed killing 5 people. As you might expect this caused near panic in Quebec, perhaps similar to what happened recently in Minnesota. The Quebec Transport Department identified 135 bridges, overpasses and ramps that it targeted for special inspection because of concerns they could collapse. The Department was so seriously concerned that it imposed load restrictions on trucks traveling over these structures. Last Friday the Quebec Transport Department reported that its emergency inspection program has found that that 65 % of the 20 overpasses investigated so far under an emergency inspection program must either be replaced or undergo major repair and reinforcement. Apparently a number of serious problems have been discovered because many of these structures are old, and "after 40 years the concrete is not in good shape." The results of the emergency inspection program suggest that Quebec's inspection procedures have been "too superficial." 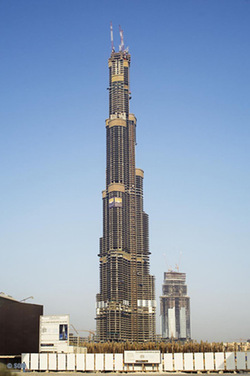 Also it was suggested that repairing these structures will require "a very heavy budget commitment." Apparently it takes a week or more to check each overpass against the original plans, to sample the concrete and then analyze the data. The OSGEO has announced that MapGuide Open Source 1.2 has been released. You can check the OSGEO Announcement for what's new in MapGuide Open Source 1.2. There are some very serious challenges facing the construction industry that are motivating new approaches to how we design, build, operate, and maintain buildings and infrastructure. While these new technologies are designed to address challenges in the construction industry, I think that they are going to profoundly affect other sectors such as operations and maintenance, emergency planning, first response and urban planning. In this first blog on this subject I am only going to outline what some of the major challenges are. Just to give you some feel for why the construction industry is so important as a market, the annual construction spend is estimated to be $2.3 trillion of which $1.2 trillion was spent in the US alone in 2006/2007 US Annual Construction Spend. 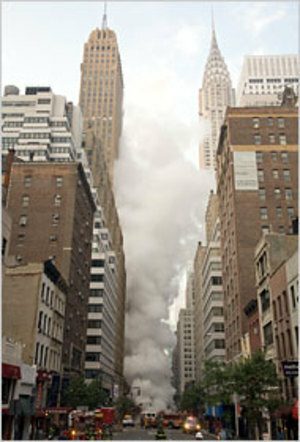 There are several important challenges facing the construction industry that are motivating the adoption of new technologies such as 3D rendering and simulation, model-driven design including building information modeling (BIM), standards for interoperability for example LandXML.org, International Alliance for Interoperability (IAI), and Open Geospatial Consortium (OGC) standards. The share of Americans calling global warming the most important environmental issue rose from 11 percent in 2003 to 35 percent in 2006 Global Warming Survey. In the United States alo ne, buildings account for 39% of total energy use, 68% of total electricity consumption, and 38% of total carbon dioxide emissions Green Building. The construction industry is faced with the challenge to replace or renovate buildings to minimize environmental impact, for example, achieving carbon neutrality, while at the same time yielding a respectable financial return on investment. Some people are calling for reducing fossil fuel consumption of buildings by 50 percent by the year 2010 with a goal of achieving carbon-neutral buildings by 2030 News. This requires new approaches to designing new buildings and renovating existing buildings. 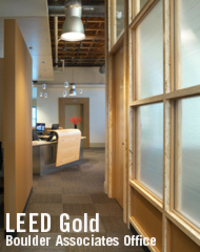 For example, the Leadership in Energy and Environmental Design Green Building Rating System LEED, developed by the U.S. Green Building Council (USGBC), provides a suite of standards for environmentally sustainable construction. Since its inception in 1998 and as of July 2007, LEED is now incorporated in 14,000 projects in 50 US States and 30 countries covering 1.062 billion square feet of development area (July 2007 USGBC figures). Aging infrastructure is expected to be an increasing prominent issue in many pa rts of the world. Every two years the American Society of Civil Engineers (ASCE) prepares a Report Card for American Infrastructure 2003 2005. One of the sectors the ACSE evaluates is roads, highways, and transit. In 2003 the ACSE awarded this sector a grade of D+ and in 2005 a grade of D, which translated means just barely passing. To put this in context, the ASCE estimates that traffic congestion costs the US economy $67.5 billion annually in lost productivity and wasted fuel. Even more seriously, the Federal Highway Administration (FHwA) reports that outdated and substandard road and bridge design, pavement conditions, and safety features are factors in 30% of all fatal highway accidents. In the US on average, there are more than 43,000 fatalities every year. The ASCE also reports that motor vehicle crashes cost U.S. citizens $230 billion per year, or $819 for each resident for medical costs; lost productivity; travel delay; and workplace, insurance and legal costs. The ASCE estimates that an investment of $1.6 trillion over five years is required to bring US infrastructure to good condition. Statistics Canada predicts that in Canada by 2016 there will no longer be enough new workers to replace retirees. In the US a Conference Board study Managing the Mature Workforce predicts that by 2010, the number of workers aged 35 to 44 will decline by 19%; aged 45 to 54 will increase 21%; and aged 55 to 64 will increase 52%. This is a world-wide phenomenon. The number of workers aged 35 to 44 is expected to decline by 27% in Germany, 19% in the U.K., 9% in Italy, 10% in Japan, and by 8% in China. A recent study from the American Public Power Association (APPA) Work Force Planning for the Public Power Utilities: Ensuring Resources to Meet Projected Needs reports that the loss of critical knowledge and the inability to find replacements with utility-specific skills are the two biggest challenges facing the industry. In the utility industry the average age of utility workers is close to 50 and by 2010, as many as 60 percent of today’s experienced utility workers will retire. A survey conducted in 2005 by the Carnegie Mellon University Electricity Industry Center found that human resources executives in the utility sector overwhelmingly listed the aging work force as their number one concern. In the construction industry a report prepared in 2004 by the U.S. Department of Labor Employment and Training Administration (ETA) entitled America’s Construction Industry:Identifying and Addressing Workforce Challenges Report of Findings and Recommendations For The President’s High Growth Job Training Initiative in the Construction Industry reported that “industry leaders noted that the construction industry is experiencing a shortage of workers. This current shortage is complicated by two trends: the growth of the industry, and the retirement of the “baby boomers.” The ETA projects that the construction industry will grow at an average annual rate of 1.3 percent between 2002 and 2012, adding over one million new jobs. The U.S. Bureau of Labor Statistics projects that the number of jobs in construction will increase by 800,000 in the next ten years from 2004 (6,964,500) to 2014 (7,756,900.) The shrinking workforce problem affects utilities as well as the construction industry. According to the BLS the overall number of jobs in utilities is projected to be roughly stable over the next ten years 2004 (570,000) to 2014 (562,500) which implies that most new employment will be replacement as more experienced workers retire. The construction industry is highly competitive, and firms must continually improve their productivity to remain competitive. 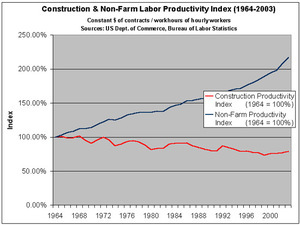 This challenge of continual productivity improvement has reached crisis proportions in the US where statistics published by US Bureau of Labor Statistics show that the productivity of the construction industry has actually declined in the last 40 years while non-farm productivity has increased by over 200% in the same period, see Paul Teicholz. The traditional facility lifecycle involves planning, designing, construction, operations and maintenance, and decommissioning. Facilities include buildings, highways and roads, network infrastructure such as telecommunications, power, water, wastewater, and gas networks. There are many different disciplines with discipline-specific software applications that are required to build and maintain a building or a network. For example, in the case of a building, disciplines involved include land developers, architects, heating and ventilation specialists, plumbers, telephone companies and utilities, and road departments of local governments to name a few. The software applications they use include architectural design, structural engineering, civil engineering, land development, geospatial, and surveying applications. Traditionally each discipline has been isolated from the other and each has maintained its own island of technology or silo of design and engineering information. However, the facility lifecycle, whether we are talking about a building or a telecommunications network, is being compressed. In addition organizations especially owners and operators are concerned about the costs of operating and maintaining facilities, which over the lifetime of the facility as a rule of thumb are 90% of the total cost of the facility. 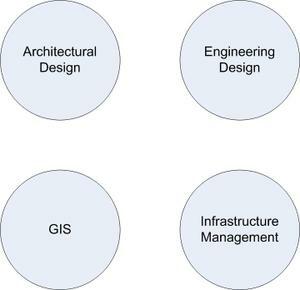 Disciplines such as architecture, structural engineering, construction, civil engineering, and GIS are classic information silos. Each maintains its own information island comprised of design applications and data. This has created a nightmare for operations and maintenance, emergency planners and responders, urban planners, and others who require seamless access to urban terrain including building interiors and exteriors, roads and highways, and above ground and underground utilities. The biggest challenge is not typically data, because the data that would help these folks already exists because much if it is created when buildings and infrastructure were designed. The biggest challenge is that islands of information and technology make it difficult to integrate existing data in a seamless view. For example emergency responders need immediate and seamless access to information about the building where an emergency is occurring, including interior, surrounding buildings and access roads, and telecommunications and utilities, aerial as well as underground. At the present time they would need to have been trained in many applications from a multitude of vendors to be able to access all of the different design and geospatial files that would help them deal with an emergency. As a concrete example, all of the world’s utilities and telecommunications firms manage infrastructure in essentially the same way and are facing similar challenges. In analyzing the information flow in these organizations, the most striking problem is islands of information. 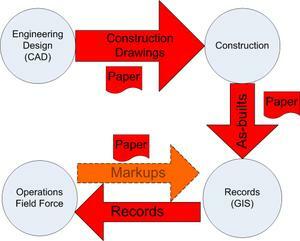 The engineering group uses CAD applications, construction uses large format paper, the records or network documentation group may use GIS tools, and operations uses paper or a handheld viewer. The information flow between these groups is more often than not paper. The result is a very inefficient process characterized by data redundancy, redundant processes, and poor data quality. Several years ago the National Institute of Standards and Technology (NIST) commissioned a study on Interoperability to attempt to quantify the efficiency losses in the U.S. capital facilities industry resulting from inadequate interoperability including design, engineering, facilities management, and business processes software systems and redundant paper records management across the entire facility life-cycle. NIST estimated that in 2002 poor interoperability cost the US capital facilities industry $15.8 billion. In addition additional significant inefficiency and lost opportunity costs associated with interoperability problems were identified that were beyond the scope of the NIST analysis which suggested to NIST that the $15.8 billion cost estimate developed in the study is likely to be a conservative figure. The NIST estimated that two-thirds of these costs are borne by owners and operators, predominantly during ongoing facility operation and maintenance.